Hrithik Roshan also very famous as name of Greek God because of body shapes made debut in Bollywood with Kaho Na Pyaar Hai 2000 after making small appearances as child actor since 1980s. And then after he gave average one movie each year but becomes so popular in industry. He also won Filmfare awards because of his acting. And as all knows Hrithik is also well famous because of his dance. He judged the Dance Plus reality tv show in 2011. Along with acting and dance he have stage performing and playback singing qualities too. Hrithik's upcoming movies full list along with release date are available below. Even on this website we like to provide all rumored and confirmation awaited movies list. All listed movie full details such as release date, other star casts, director, producers and trailer video available below for check out. You might love to check Bollywood Movies 2017. Kabir Khan's Next : Sajid Nadiadwala producer of movie recently announce that after Tubelight (Salman Khan's Next) he will work with Hrithik Roshan. Krrish 4 : As usual Hrithik Roshan to star in upcoming Krrish series which is right now under scripting session. And sons of Hrithik (Hrehaan and Hridhaan) helping Rakesh Roshan to write script. Movie will goes on floor in 2017 after Kaabil. Finally on Yami Gautam birthday actor wishes her on twitter and give hint by welcoming her in next superhero flick which is Krrish 4. 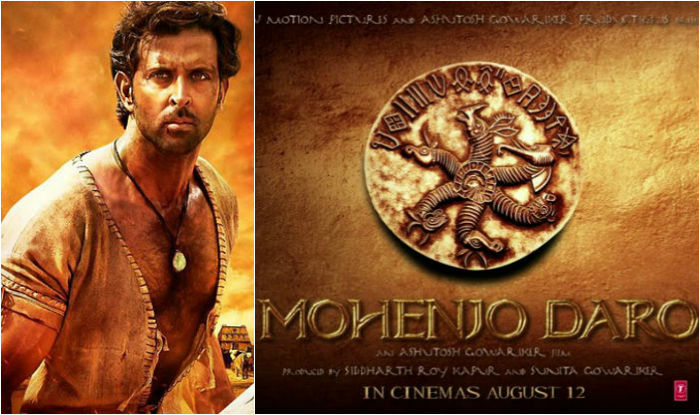 Mohenjo Daro : After huge success with Jodha Akbar director and producer Ashutosh Gowarikar again signed Hrithik for another historic movie which is Mohenjo Daro. Movie mostly all parts will to be shot in South Africa. For movie Hrithik has been paid 50 crores. First movie release date set on 26th Jan 2016 but postponed to 12th August 2016. Kaabil : Rakesh Roshan production movie starring with Hrithik Roshan and Yami Gautam is movie for which Hrithik given just three months and wrap up the shooting. Befor shooting of film satellite rights of movie been sold for 45 crore. We want to see more and more of you in more movies.